The Font of Knowledge: Pilgrims of the Air. Pilgrims of the Air. John Wilson Foster. Notting Hill Edition Ltd. This book was a gift from Julie and Paddy Magee who live beside Strangford Lough in County Down and who are interested both in trees and in birds. Louise and I have known them for a long time as members of the Irish Tree Society which is a 32-county organisation. The book is a short compact hardback which is devoted to the history of the Passenger Pigeon in North America. 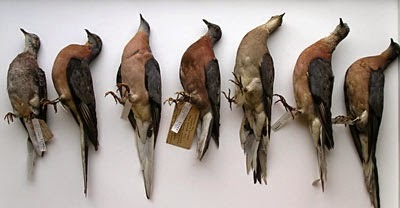 When the Europeans arrived in North America in the early 17th century the Passenger Pigeon was present in enormous numbers, estimated in billions as is evident in the many accounts available to us from historians, ornithologists and other natural history writers who have left their account of the Europeans who emigrated to North America in the early years. The pigeons remained widespread until the mid-19th century but by the first few years of 1900 not a single bird could be found to remind us of their rich presence. 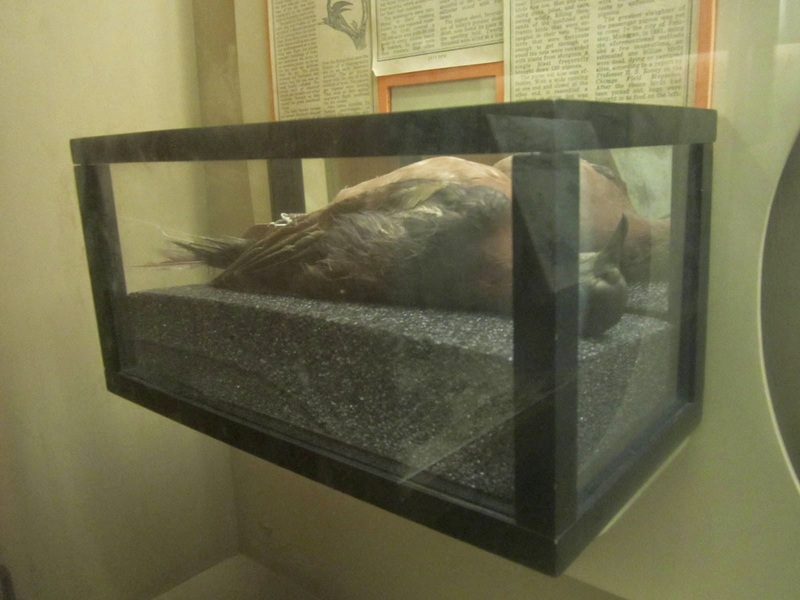 Clifton Hodge led a campaign in the early 1900s offering prizes to any who could find and identify a living Passenger Pigeon but he and others were unsuccessful in their enquiries. 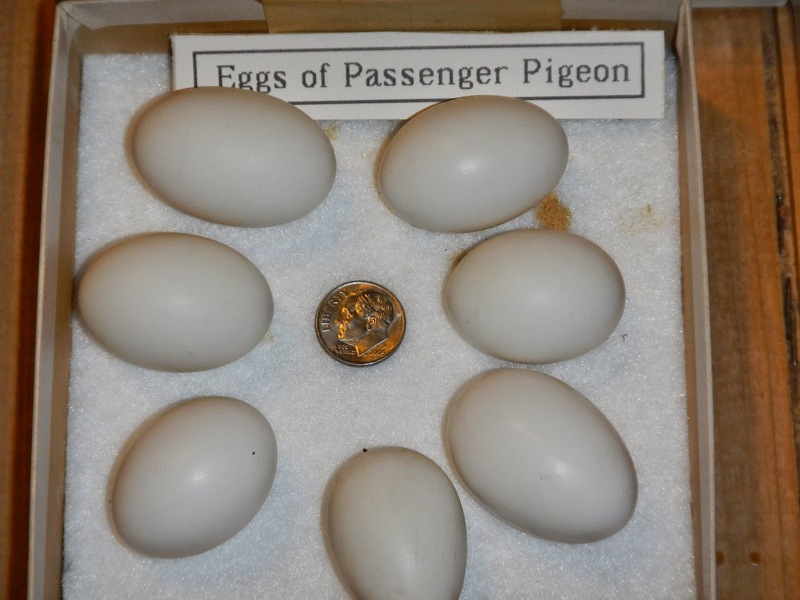 The only evidence provided was about 14 remains of the bird and a few of its eggs in a museum. Chapter 1 is devoted entirely to the intensive and unsuccessful search in the United States and Canada for evidence of the Passenger Pigeon in the 20th century. The bird loss was a reminder of humanity’s destructive effect on the fauna of our world. This essay is relevant to our awareness of the current and progressive drop in bird population in the world to-day. 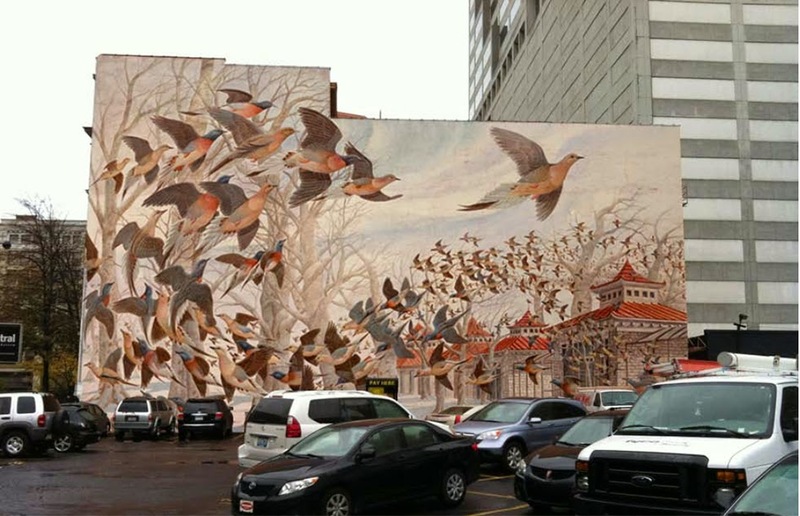 The huge population of Passenger Pigeons seems to have continued to the mid-1800s. The birds inhabited the eastern side of the United States and Canada as far as the great Lakes, and then along the Mississippi and Missouri down to the Mexican border. They travelled closely together in huge packs and they travelled long distances according to seasonal and weather conditions. They did not occupy the western and south western areas of North America. Chapter 3 provides a description of the fauna and flora of the eastern United States during the 17th and 18th century stretching from Florida up north to the St Laurence River. The wealth of trees and the wealth and variety of fauna are striking compared to what has remained in the last hundred years. 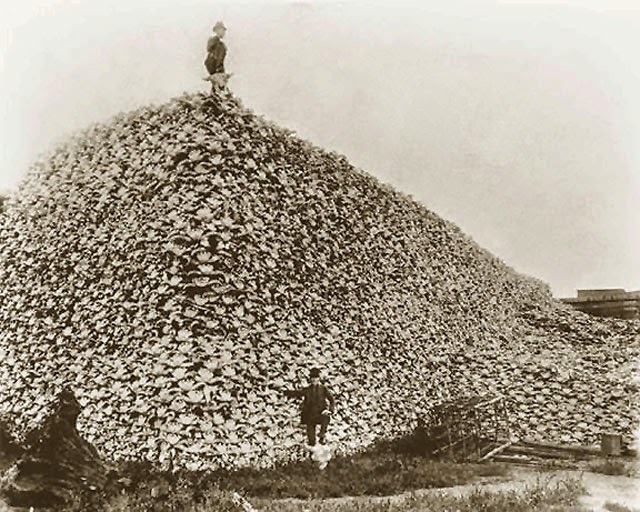 The abundance of flora and fauna and the abundance of food were evident in many accounts although there were problems at times amongst the early settlers of seasonal starvation because of heavy forests, adverse weather, arable land limitations and conflict with the local Indians. Among some of the English settlers was a strict Protestant view of the super-abundance which they considered was unnatural throughout this wild area. The seemingly interminable forest was the habitat of sinfulness and wickedness; it cried out for order, discipline and management through agriculture which required felling, clearing and cultivation. Nature was also an enemy when she perversely withheld her bounty leading to famine and drought, as had happened in Newfoundland, Virginia, Carolina etc. in the early years. The new world was to be a spiritual and material enterprise. Colonisation demanded conversion. Native abundance, at first marvelled at, was to be harnessed and pruned. Nature should be appropriated, exploited and marketed. God had originally stocked the world plainly with creatures for the use of man. Creatures had served man in Europe and now it was the turn of their fellows across the ocean. 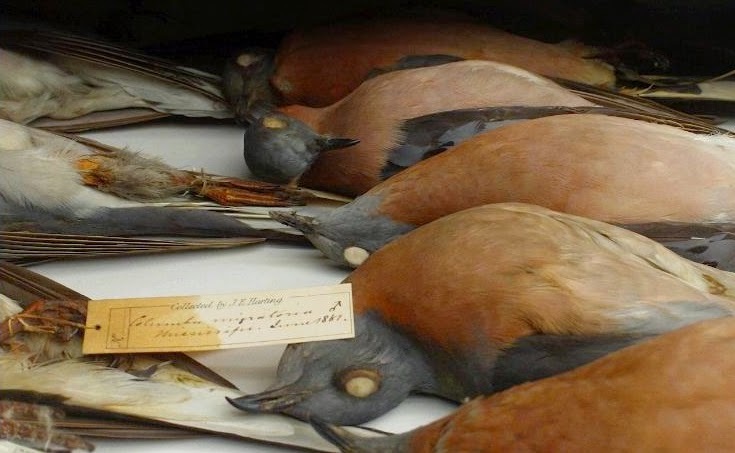 Many species of animals, including the Passenger Pigeon, were to suffer the lethal consequences of this conviction. There was a rapid increase in the population of America in the second half of the 19th century with the wide extension of highways and railways. Communication and travel extended rapidly which made it easier for ornithologists and for trappers and bird hunters to find the birds in their natural habitat. Local papers and the rapid increase of letters and telegrams quickened the pace by which the location of large pigeon roosts and nestings could be revealed and shared. The trains reduced the time it took pigeoners and hunters to report for duty and set about the work of destruction. 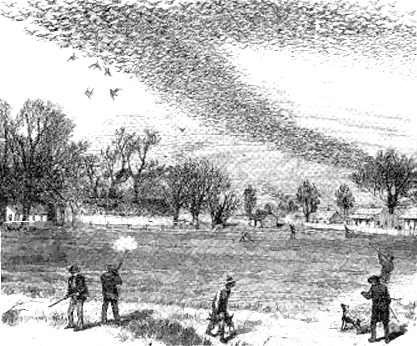 The rapid increase in railway and telegraphic communication increased enormously the profits and the activities of the bird hunters who could collect several hundred birds in one catch and have them sent quickly to the nearest towns and cities where the birds were in great demand as a delicacy. The development of the frigidaire added to the ease of providing the birds to the market. The birds travelled invariably in huge packs and were easily captured by special netting and by more efficient guns which could drop dozens of the closely packed birds in one shot. The density of the packs and the closeness of their numbers made them particularly vulnerable to the attention of the trappers who were suitably equipped and who received a rich reward for their products. The roasted birds were delicious and were in great demand.Cookery books were full of information about the preparation of the pigeon which could be roasted, potted and stewed. One recipe was pigeon stewed with salt, pork, eggs and red wine. Clearly, particularly when there was a shortage of food, the pigeons became a very important source of food for the Canadians and the Americans. There were various recipes in the books for pigeon pie using puff pastry and the little cutlet cover with mushroom, boiled eggs and as many freshly killed pigeons as the dish will contain in each layer. Pigeon livers were also popular. 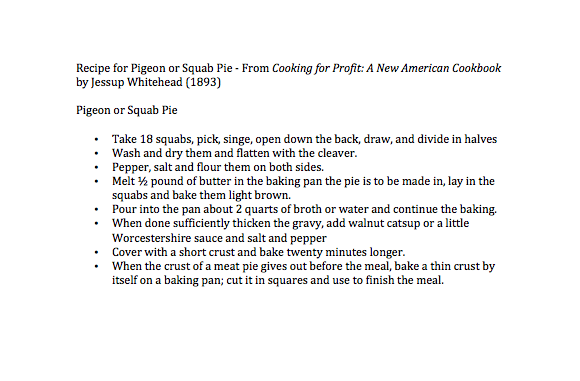 The squab potpie also became popular. 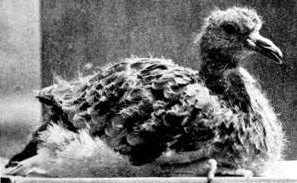 The squab was the young, recently born pigeon. Also to be preserved, the birds could be salted down and kept in port barrels for winter use. Alexander Wilson was a Scot who emigrated to the United States and who proved to be the most famous naturalist and ornithologist to arrive there. 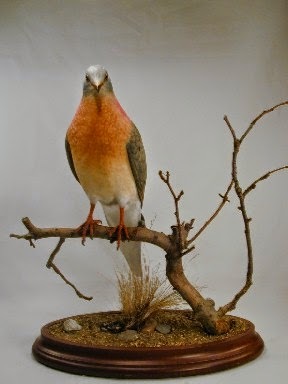 He travelled the western and middle States, mostly on foot, and provided an enormous amount of information, particularly about the natural history and behaviour of the Passenger Pigeon. He was above all a wonderer as well as a walker and wrote the volumes “American Ornithology” as part of his contribution to the history of the country. There is an extraordinary description by him of the hours-long passage of Passenger Pigeons flying south over a period of four hours with a lateral expansion of a few miles. He estimated that there must have been several billion birds in the flock that passed him. 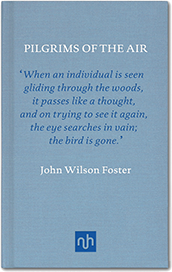 The text emphasises Wilson’s huge contribution to ornithology and also that of other observers. The huge mass of birds was dense enough to dim the daylight and they left a ghostly impression as the birds were deprived of any form of sound. Chapter 8 provides great detail about the natural history of mid-America, swarming with wild pigs, pigeons, squirrels, woodpeckers and other fauna, and in one paragraph Wilson describes ‘’ --- stepped off the road at Lexington to visit a pigeon city apparently abandoned by the birds. He could see it was several miles broad and he was told it was forty miles long’’. An ornithologist called Schorger studied the whole question of the history of the Passenger Pigeons. It was after they had disappeared that he examined newspapers going back more than two centuries. He collected an enormous amount of information about the swarms of pigeons noted all over the eastern United States. He reported in the newspapers the huge size of the swarms and their numbers which were certainly in billions. Their wellbeing and numbers depended on the state of the trees and the variation in the production of acorns and of beechnuts and other tree fruits. The deforestation which occurred in the United States was a major deterrent to the pigeons because of their tradition of existing only in large and intimate numbers. 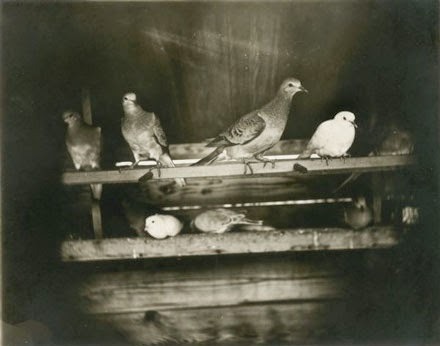 A huge industry had developed in the pigeon business when countless millions of pigeons were captured and were brought by train and boat to built-up areas. Hundreds of people were permanently working as trappers. From one railway station alone in the late 1800s, 150 barrels containing about 190,000 birds were shipped every day to built-up areas. Stool pigeons were used widely as a decoy to attract the birds. Schorger read in one book a description of the pigeon business as a form of disciplined butchery. Up to 100,000 hunters came from all over the Union to the great Wisconsin nesting of 1871. A party of 27 mustered at Kilburn to witness the slaughter there. They estimated the shooting down of 2,500 birds in one early morning and the loss of hundreds of eggs. 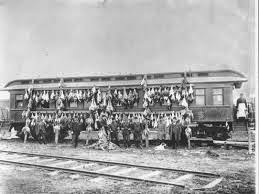 The slaughtered birds were shipped off by freight train to Chicago. Coming to the end of the 19th century there was some concern expressed by a few lonely voices about the wellbeing of wildlife but it was only a whisper. Even among the ornithologists there was little concern about the pigeon, at least until they were remembered by a few well into the 20th century. There was little concern about the destruction of wildlife. Page 160 gives a list of birds which were threatened or destroyed in the 19th century. It was the age of extermination according to one observer. In the southern states in particular there was a huge mortality amongst all the native birds, many of which were known to us in Europe. At the end of the 19th century birds were valued, mostly for feathers and skins and of course for eating. There was a huge destruction of Robins and what we would call domestic birds. Feathers were used for all types of dresses, furniture and bedding, by decorators and others. Frank Chapman identified 40 species of American birds mounted on hats as he walked the up-town shopping districts of New York. The collecting of eggs was popular as was the stuffing of birds by taxidermists. Ornithologist shot birds with the studied indifference of the scientist. Animal life had no time for sentiment. The pigeons had disappeared completely by the end of the century. It was only towards the end of the 1890’s that people began to be aware of their disappearance Apparently the decline had started in 1871 but the change was hardly noticed, at least in the literature. The last credible sighting was noticed in 1902 in Missouri. As far as is known, none were found after that date. The decline was so precipitous that it occurred over less than two generations. Have we to-day learned anything from the destruction of the Passenger Pigeon in America and the destruction of other birds and animals of that sub-continent? Have we adopted attitudes towards nature which are inconsistent with our own wellbeing? Does our insistence on a better standard of living conflict with the wellbeing of our natural surroundings on which we are dependent for our survival and that of our children? The answer is yes. Like the population of the United States and the rest of the world we are gradually eroding that part of nature on which we and our children depend – our flora and fauna and, most seriously, our gross waste of the limited fossil fuel of the world and the over production of CO2 which sooner rather than later will make the planet uninhabitable for humanity and much living matter. Just as they were busy destroying the vast number of birds and many other living things, the Americans and the rest of the world are following the Passenger Pigeons to our own destruction. We are unable to face up to the reality of our situation. At least a hundred years ago we did not have the knowledge we have to-day but now we know from measuring our atmospheric CO2 that our atmosphere will soon be incompatible with human and organic life unless we act and act immediately to reduce our fossil fuel consumption to keep a balance within nature. I believe there is only one solution. We must return to community living and to maintain a strict balance between our needs and the limited bounty of Nature. People are, like all creatures, transient features of the ecology. True, we are turning the planet into a hostile environment, but principally hostile to ourselves. We will disappear, and life will repopulate the niches that open up. Grass will grow through the concrete.